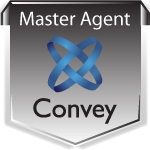 WTG is a Connectivity Services Distributor and one of the top Master Agents in the US. As a CRN 5 Star Vendor for Connectivity Services, WTG has provided exceptional service to agent and VAR partners since 1996. Commerce Consulting Corporation (CCC), WTG's parent company, has the most diverse portfolio in the industry with over 100 Providers, including voice, data, managed services and cloud products and services. WTG Agents have the ability to sell and consistently expand their business without commitments or quotas. Partners have access to PartnerEdge, the leading edge sales process software, allowing for complete automation of the sales process. WTG is 100% partner driven and pays top commissions in the industry. WTGexceeds expectations with a dynamic approach to partner support and its commitment to success. Become an Agent today and find out how WTG can help you expand business with your existing and new customers. WTG does not have any quotas or minimums and we are 100% Agent driven and do not maintain a direct sales team. Grow your Agency and join the WTG Team!